Lighting can really make or break the entire look of your home. But if you're not familiar with the different types of lighting styles that are available, it's easy to miss out on some of the possible ways to illuminate your home. One popular lighting style you've probably seen is track lighting. The lighting designers at CESCO have a few facts about this type of light fixtures. Track lighting is a type of lighting fixture that can be mounted to a ceiling or wall. This system distributes light through individually attached fixtures, or heads. This style of lighting gives a more modern look to a room. A track lighting system is made up of a track that powers the conductors and the heads, which hold the bulbs. Straight tracks are the most common design but they can also be curved. Canisters are the most popular type of head. All in all, track lighting systems give you a subtle appearance while effectively lighting a specific area of a room. Which rooms are good for track lighting? 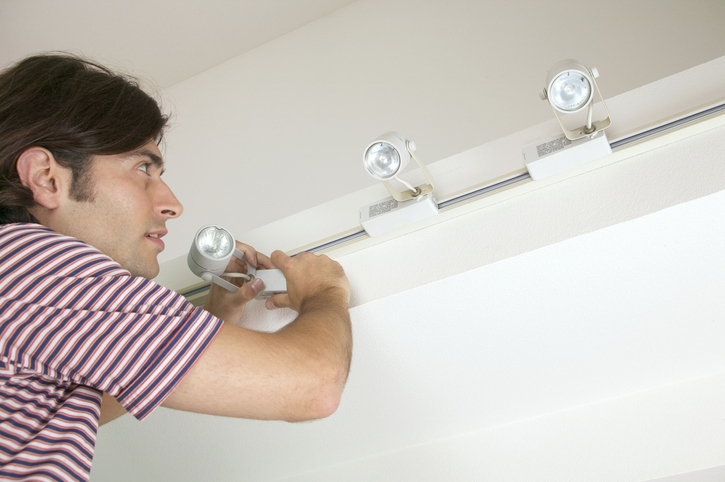 Track lighting is an excellent choice for kitchens, master bedrooms, and offices. It's also a great way to spotlight specific features of your home, such as an island in your kitchen or a unique piece of art. To learn more about track lighting or to buy any type of residential electrical supplies, visit Carolina Electrical Supply Company. We're your local lighting store and have a team of lighting designers on staff. Stop by and see all that we have to offer.